Whether you’re totally fed up with seeing her face and hearing her music everywhere, or are a diehard fan, you can’t deny that T.Swift is a marketing genius. You may not think that, as a professional entertainer, her tactics bear any relevance in your own life and business, but you’d be wrong. Being a big-time celebrity today doesn’t just mean you have to entertain your audience – that’s only half of the job. You also need to create, build, and maintain a brand for yourself. Which is what you work so hard at everyday, right? 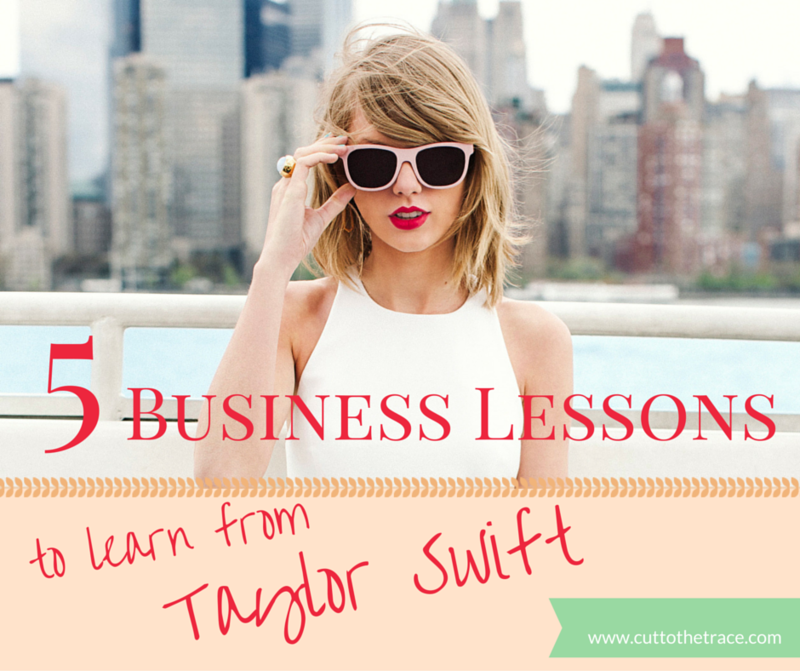 So take a look at these 5 business lessons, and take notes from the chart-topping icon. 1. Never be afraid to go in a different direction. For 6 whole years in a row, Taylor maintained her status as a current-day country icon. Then out of nowhere she flipped a huge 360 and produced an entirely pop album! To say that there were strong opinions about her choices and new direction would be an understatement. Disregarding the negative feedback, she worked hard and stayed true to to she IS instead of who she WAS. She proved that it’s okay to change your image/brand to reflect your ever-evolving style and preferences. Considering that she still has yet to leave the top of the charts, i’d say that it worked. Never be afraid to try new things because you’re unsure of how it will be perceived. Your #1 fans will still love you anyway. Show your followers and customers the behind-the-scenes of your life and business. In a creative business you ARE the business, so show everyone who YOU are as a person! What does the day-to-day of your business look like? Part of why T.Swizzle dominates the social media world is because she’s not afraid of sharing the quirks and imperfections of her life. She shows her extended family packed in a van for a trip to a family gathering. She showcases her 2 cats Doctor Meredith Grey and Detective Olivia Benson at every opportunity (shoutout to Grey’s Anatomy and Law & Order fans). People love witnessing and connecting with the ordinary. Do like Taylor does and proudly tell and show people what is the most important to you! 3. Reward & surprise your loyal fans (um, customers..). This may just be what makes Taylor stand out the most from other celebs. If there’s one thing she knows, it’s how to leave an impression with a thoughtful surprise. 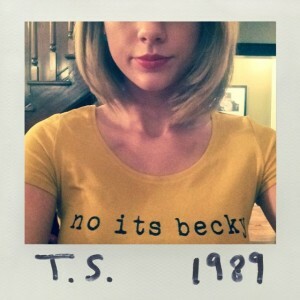 In September of last year, T.Swift invited a group of fans to her home in L.A. , baked them cookies, gave them an exclusive secret session performance of her then-soon-to-be-released album, 1989, and hung out with everyone afterwards telling them the real stories behind the songs. Later that year she also hand wrapped gifts, some from around the world, that she had specifically picked for some of her social media fans (!!!). She included a handwritten card for each of them, and in one case even DROVE to Connecticut and hand-delivered gifts to a fan and her young son. Now, am I saying that you, as a business, have to be as generous or go to the great lengths that she did? No. But by personalizing a free gift for someone to show that you pay attention to them as an individual and that you value them can go a long way. Check out their purchase history – Is their one specific product that they purchase all the time and might be their favorite? Send it to them with a handwritten note and make their day! Knowing where to find your target audience and what they find popular is huge. A great example of T.Swift rocking this is when she made her Tumblr fans explode by wearing a “No It’s Becky” t-shirt (a nod to an inside joke involving her that came about on Tumblr). She had a huge reaction from people who loved sharing a joke with her, and having proof that she stayed current and active with her social media. She’s also been known to use Twitter as a way of communicating with individual followers directly as well as keeping an eye on what sort of content her fans are sharing with each other. She doesn’t just primarily use social media for marketing, but will use it to create relationships with fans through casually responding to comments, liking and reposting their pictures. As a business, you should do this too! Join in on the conversation and use it to make your brand seem more relatable! 5. Deliver the highest quality possible. One of many things that Taylor could shamelessly brag about is her ability to provide value and leave an impression. She is notorious for giving her complete all in every single performance, which are usually around 2-3 hours long. 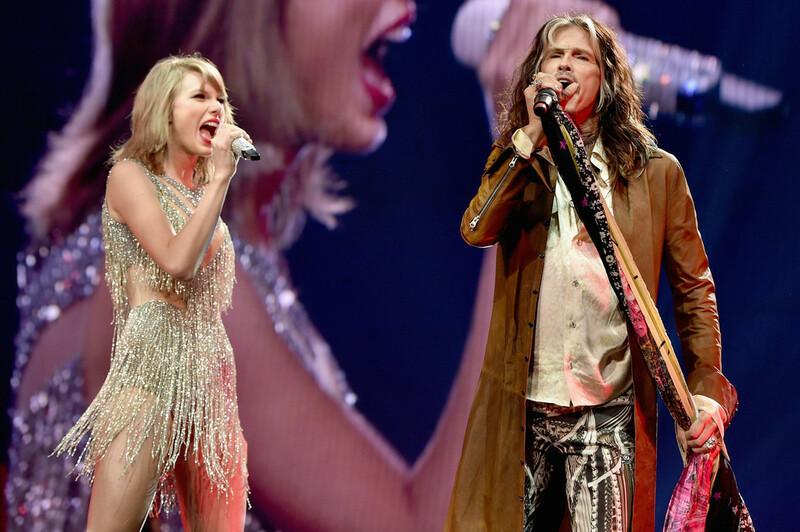 On her current tour for her 1989 album, she has regularly surprised her audience with guest stars from all other genres of music during each concert. Getting to see multiple famous performers for what you thought was the price of one? I don’t think there is anyone out there that wouldn’t totally dig that. So take a second and think – What are you doing to surprise your customers? Are you making sure that each product/service you offer is of the highest level of quality and value? If not, it may be time to take a tip from T.Swift and make changes until you’re able to start exceeding expectations regularly. They’ll be sure to spread good things about you and remain a steady follower!